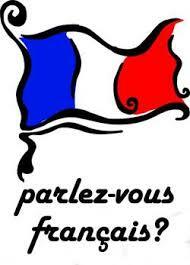 We have recently formed two French conversation groups; one to cater for beginners and a second for those that have some knowledge of French already. We have a group of members (English and French) who will be willing to help facilitate the groups. We plan to have specific themes or subjects as the focus each time to stimulate the flow of conversation. The main aim is to have relaxed informal groups where people feel happy to speak. For further information please email us through our contact page. 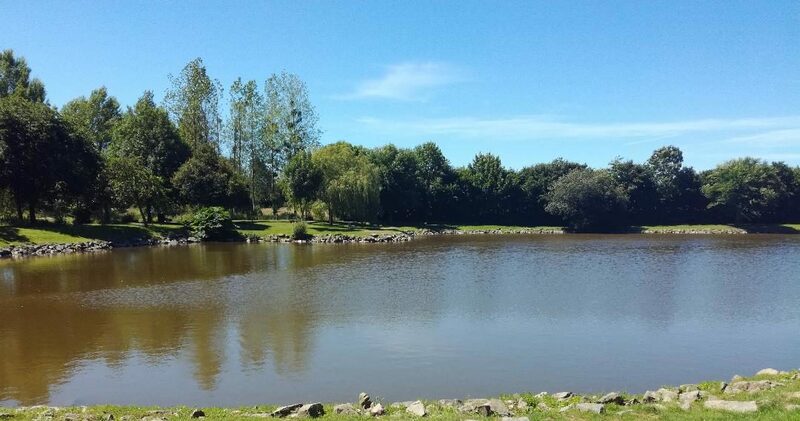 The Anglophone walking group meets once a month from February to June and from September to November. 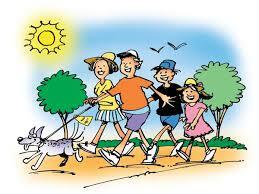 We walk for about 5km – taking around an hour and a half. All members are welcome – we have some regulars but also people who dip in and out as it suits them. We try to arrange walks all over the patch covered by the association, and put together a mixture of seaside and country walks. There’s nothing too strenuous – although there might be the odd hill – and stout footwear is recommended. Afterwards we will go to a local auberge or restaurant for lunch, and always choose somewhere with a good value menu. We’ve found a few gems! You can even just join us for lunch if you like. All we ask is that people book for lunch a few days before so that we can make arrangements with the restaurant. Come and try our craft group who meet each month in the comfort of their own homes. The purpose of the group is to swap ideas, work on their current project and help one another with pooled expertise. 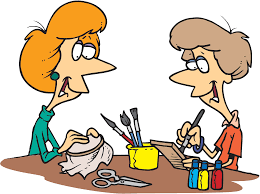 This is a self-help group with a most impressive collection of crafts represented from jewellery and card making, to lace, embroidery, knitting, crochet and any other needle craft you can think of. We welcome those who may want to share their craft expertise with us, or those who may want to learn a new craft. There is no tutor as such but the group are happy to pass on their skills and will show you how to start and help you as you learn. Why not join us to learn country dancing? 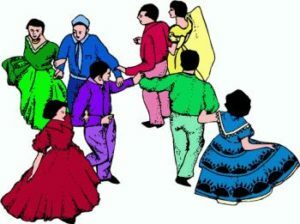 We have set up a dance group that meets once a month near Gratot. The evening encompasses English Country Dancing, Scottish Country Dancing and a touch of Morris Dancing thrown in as well. Don’t know your left from your right? Think your two left feet will be the only ones there? Think you won’t be any good at it? Well don’t worry, you won’t be alone with any of the above excuses! and you will be fine! A sense of fun and a willingness to have a good laugh is all we ask. It is also good exercise and, if you are still not tempted, we stop half way through for a drink and some home-made cakes or chocolates!! We meet in the church hall of the English Church in Gratot once a month. Members and non-members are welcome, men and women, you don’t need to have a partner to come along. There is a small charge per session of 3€ per person (members) and 4€ for non-members. Comfortable shoes are recommended – trainers are acceptable (and please make sure, whatever you wear, they will stay on your feet as we do flick our feet a lot!). We have started a small luncheon club for members. The aim is to take it in turns to meet in each other’s houses for a home cooked meal about once every month to 6 weeks. One group has already been meeting for over a year. Due to the nature of the club, numbers per group are limited as the group meets in members homes. However, it is possible to set up a second or third group. 2013 saw the launch of The Anglophone Association Book Club. 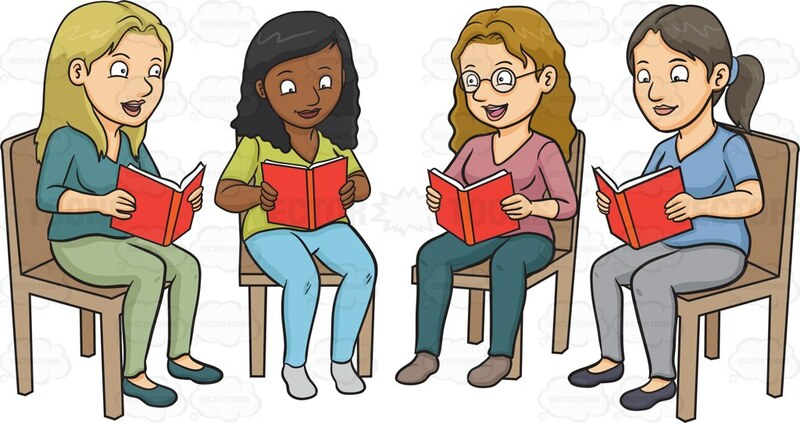 We meet every month or so and discuss a book chosen at the previous meeting. Five Quarters of the Orange by Joanne Harris. About Grace by Anthony Doerr. Paradise and Pigs by John Rigbey. The Unexpected Inheritance of Inspector Chopra by Vaseem Khan.